Our IPCC reports are used by the regulators around the world when they set their environmental policies. He’s quite right. IPCC reports are enormously influential. And white-haired Wickham, with an engineering career stretching back to 1966, is exactly the kind of person one would expect to find on a panel of the world’s best experts and top scientists. But some IPCC authors are nothing like Wickham. They’re young kids. They’re still students. Their experience of the world is neither broad nor deep. 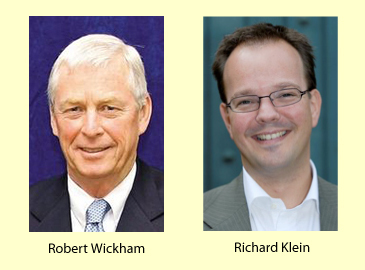 Wickham had, in fact, already embarked on his career before our case in point – Richard Klein – was even born. Joining the human family in October 1969, Klein spent his 23rd year (1992) as a Greenpeace campaigner in Amsterdam. That same year he completed a Masters in geology. So how does someone with only a Masters become an IPCC lead author a mere two years later? I mean, he was 25 years old at the time. There are three classes of IPCC author – contributing, lead, and coordinating lead. The coordinating lead authors (usually there are two of them) are a chapter’s most senior personnel. The above excerpt tells us Klein was promoted to the most senior IPCC authorial role when he just 28. What the excerpt doesn’t mention is that he didn’t earn his PhD until six years after that – in 2003. So Klein served as an IPPC author four three times while he was still a graduate student. The fact that he was comically young didn’t disqualify him. The fact that he’d recently worked for Greenpeace didn’t disqualify him. While still in his twenties, while still years away from completing his doctorate, those in charge of the IPCC decided Klein was one of the worlds top experts. This tells us two things. First, the judgment of the IPCC leadership is impaired. Second, it has suffered from such impairment since the mid-1990s – or approximately three-quarters of the IPCC’s 22-year existence. Since 1994 Dr Klein has contributed as lead author to six reports of the Intergovernmental Panel on Climate Change (IPCC), of which three as coordinating lead author. He remains the youngest ever first-listed author of an IPCC chapter, a mark he set when appointed coordinating lead author in 1997. This entry was posted on October 21, 2010 by Donna Laframboise in climate bible, Greenpeace, IPCC, NGOs and tagged climate bible, Greenpeace, Intergovernmental Panel on Climate Change, IPCC, Nobel Peace Prize, Richard Klein, Robert Wickham.